Often times you read about great deals for hotels only to find out you have to take two buses and walk two miles just to get to where the action is. That is not the idea behind a cheap vacation. You want to enjoy yourself at all the spots that the big money people are at but at a fraction of the cost. Use these tips to find a cheap hotel in Las Vegas to save money on a vacation. Check guest reviews and prices for Hotels in Las Vegas on TripAdvisor. Las Vegas in the middle of the week is far more affordable. It still can be absurdly cheap on a Tuesday night. The defining factors are often conventions and major events but on average rooms are cheaper during the week. Avoid weekends altogether, if possible; table limits are higher, restaurants reservations are harder to come by, and the room might cost you three times as much. Compare rates at different hotels. The key to a cheap vacation is information and the more you have the better your chances of saving a few dollars. Take a look at off strip hotels such as The Palms, Rio and Hard Rock Hotel to gauge what prices might be if you stayed a little farther away. Also, don't be afraid to check out non-gaming casinos such as Trump International and Palms Place, you'll be surprised how much of a deal you can get there. Harrah’s - Located across the street from Caesars Palace and within walking distance of Venetian, The LINQ, and The Mirage. This is a center strip hotel with adequate budget-friendly rooms and plenty of cheap food options nearby. LINQ Las Vegas - This is the old Imperial Palace and they have done plenty to it to make you want to stay here night after night. Cheap food options and an entertainment district make staying in the newly renovated rooms and easy decision. 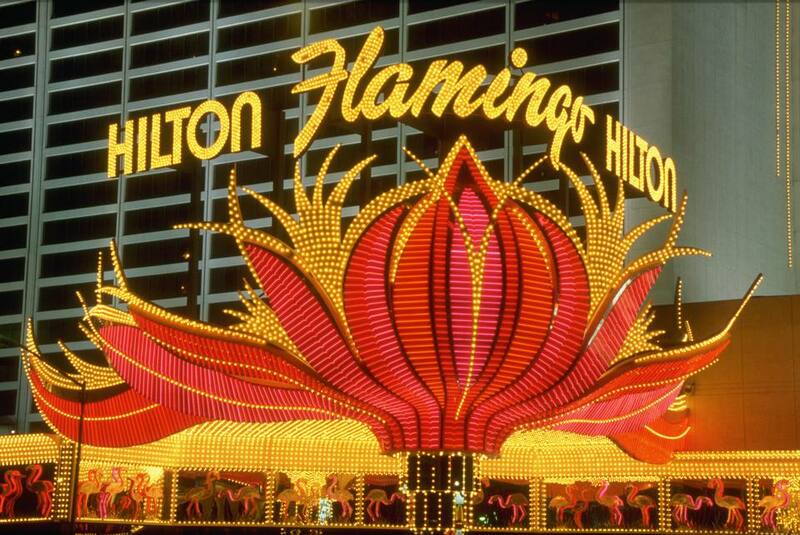 Flamingo - This property is an icon in Las Vegas and they have various room types at price points from very cheap to expensive. The pool is large and it has a family section of you are traveling with kids. Bally’s - Located across the street from Bellagio and Caesars Palace this is one of the best deals on the strip. The rooms could use some updating but the location is hard to beat. Join a slot club such as the Total Rewards Club at Harrah’s properties or M Life Rewards at MGM Mirage Properties. The hotels offer promotions for their members that can reduce the cost of your vacation. Check out the hotel promotions and coupons offered by Las Vegas hotels​. Get on their mailing list and you'll start getting incentives for room rates. If you like the idea of experiencing the old Las Vegas. The real thing, the genuine Las Vegas that was once the norm, head to Downtown Las Vegas and reap the benefits of cheap food, cheap rooms, and low limit gambling. Head to Fremont East and you'll soon become a fan of this side of town. The El Cortez is a nice property and you'll be in walking distance to all of the hip Downtown Las Vegas excitement. Always consider booking through the hotels directly. They usually honor any published rate regardless of where you found it. If you can prove you saw it they typically will try to accommodate you. If you save money on food you can consider paying more for a hotel room in Las Vegas. Flexibility always helps when searching for good prices. If you change your arrival or departure you could alter the overall cost to help you benefit from a promotion or coupon. Patience, when searching for a cheap hotel making the extra call or checking one more site might save you a bundle. When you find a good deal, take a risk and continue searching. When you find a great deal, book it and do not let it slip through your fingers.